During my most recent dive outings, I decided to take a step back to the simple life and dive with only a backpack (no buoyancy compensator) This tends to draw some cross-eyed looks at the dive site, but in the mud diving world this is the norm. It also happens to be the way I first learned to dive, though now seems to be a dated practice. While I don’t often write about basic scuba theory and techniques, I think this is an important topic to discuss, as it sheds light on how the diver should configure him/herself for the task or environment at hand. First, let’s describe the function of a buoyancy compensator (BC) or buoyancy compensation device (BCD for those from that school of thought). 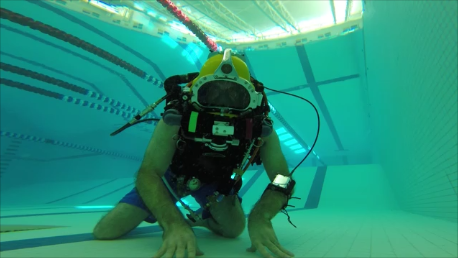 In short, a properly weight diver will float at the surface at about eye level with a half a breath of air and a full cylinder. When exhaling, the reduction in buoyant lung volume allows the diver to break the surface and descend. Underwater, the diver will gently rise and fall with each inhale/exhale cycle and when done expertly this rhythm looks and feels like riding a gentle wave. As depth increases, wetsuits compress so their inherent buoyancy is lost, leaving the diver slightly negative. Enter the potential need for a BC. The BC allows for this loss of buoyancy to be compensated for by adding air within the void of the BC’s bladder. On ascent, the BC is vented as the wetsuit’s buoyancy comes back, in an effort for the diver to remain relatively ‘neutral’. Barring any real need to be heavy or light, this is the norm. When reaching the surface, the BC is inflated to prop the diver up, much like a life jacket, to provide a relaxing stay at the surface while swimming to shore or a boat while keeping the head above water and not dependent on a regulator for breathing. In its most basic form, BC’s make good sense when used properly for this purpose. 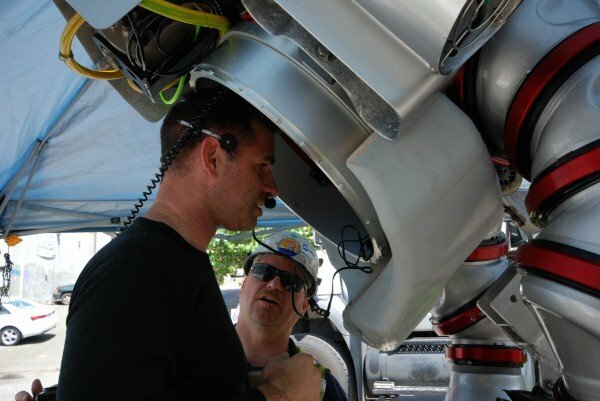 Things get more complicated when using heavy equipment, such as in technical diving, and this is often when BC’s are improperly used. A fully laden technical diver with multiple stage cylinders, reels, lights, cameras, DPV‘s, and so on can be carrying several hundred pounds of equipment, which can often time be several tens of pounds heavy in the water. In most cases, the diver then does not need a weight belt, and is relying on the in-water weight of the equipment load for ballast. 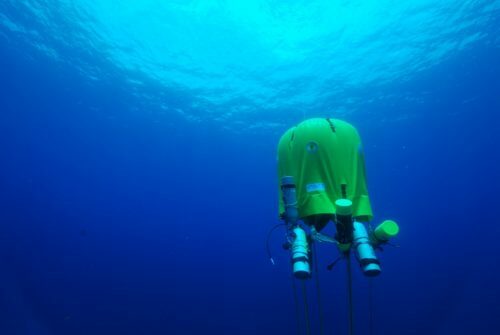 The diver has to account for swings in cylinder buoyancy as gas is used, and consider if and when equipment is staged or handed off to support divers. 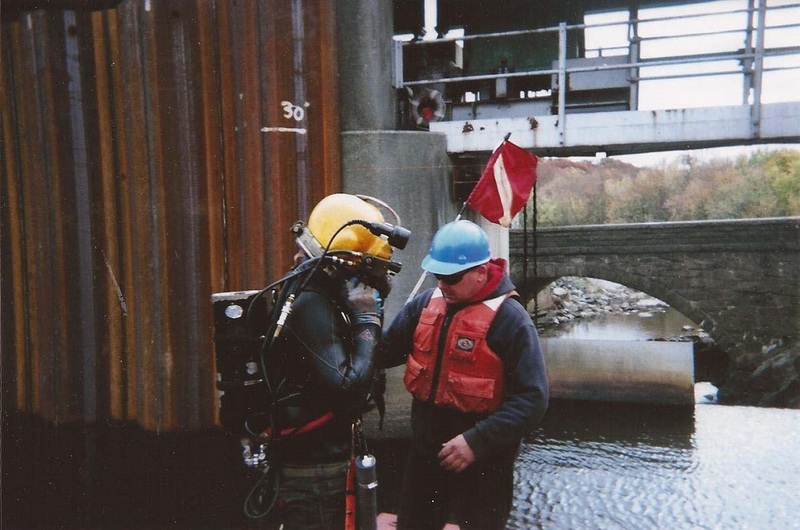 All of this contributes to flux in the diver’s buoyancy, often times resulting in the diver being too buoyant, which of course can be fatally catastrophic if trying to stay submerged for required decompression. As a matter of principle, it is always good practice to revert back to basics and ensure that you – the diver – is neutrally buoyant at or near the surface while equipped with your most basic life support. Everything else is an extra and can be trimmed out with either a BC, or trim weights. Much like we do in Day 1 scuba, the technical diver should be able to comfortably do a ditch and don without fighting suit buoyancy and so on. I often go the extra mile when building my equipment to make any tools, lights, or cameras themselves neutrally buoyant such that I’m not fighting them during the dive. Been there, done that and it can be both a miserable and dangerous experience. 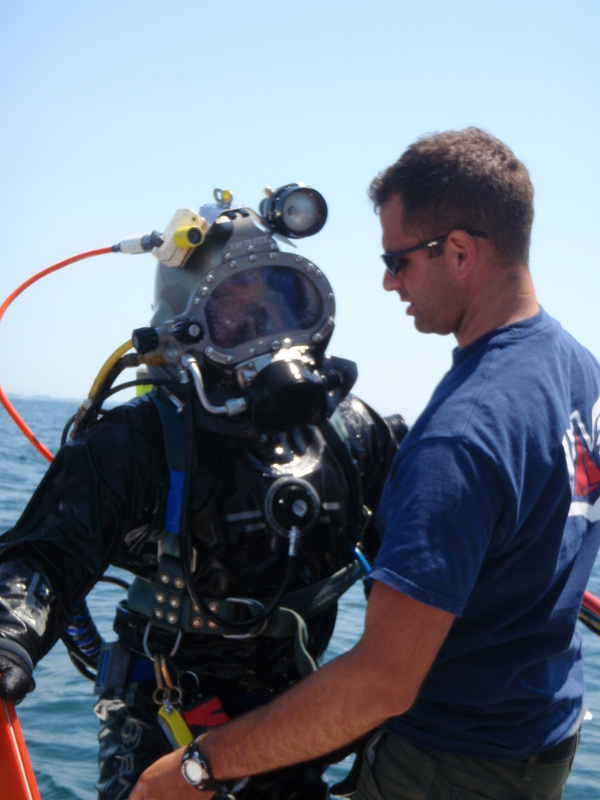 In this case, ditching any of the extraneous equipment has little to no impact on the diver’s buoyancy – a good thing. Now back to basics – in my decade plus of mud diving I spent several thousand hours, at least, diving without a BC. This holds true for both hard hat work, and working with scuba. The norm is to have three weight belts available – an everyday/neutral belt, a heavy belt for working on the bottom, and a light belt for working overhead (under a barge for example). When geared up for the task at hand, we would rely almost exclusively on weight for proper orientation in the water, sans BC. 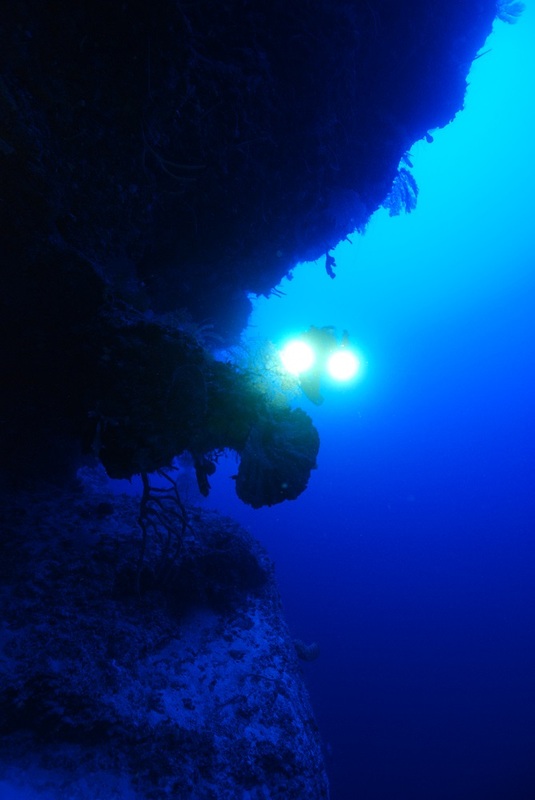 Most work is in less than 40 feet of water, but even for the occasional deeper dive to 80 or so feet, this is a very free and unencumbered way to dive. The most important skill learned in this is that proper weighting, and controlled breathing can ensure correct body positioning in the water. 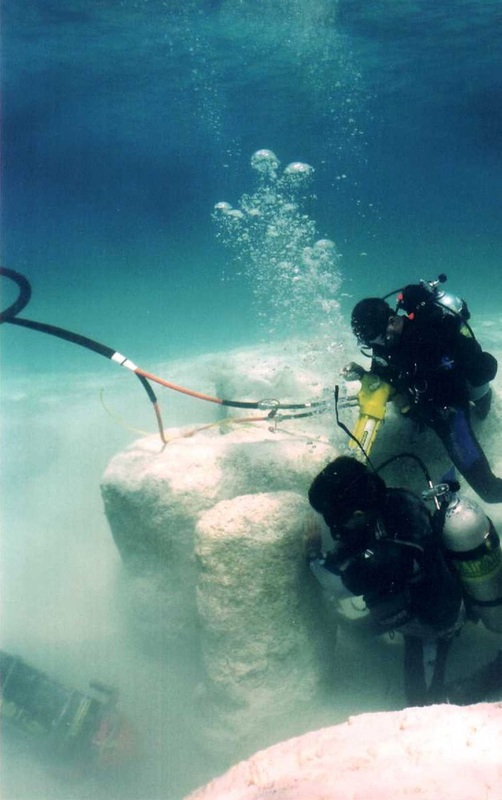 Thereafter, when a BC is used, it ends up used almost exclusively to compensate for the overburden of tools carried, and much less so for the improperly weighted diver. I certainly don’t advocate this for everyone, as in most mud diving we’re descending down a line or other fixed structure, running on the bottom, and ascending back up the same line or structure. There is little, if any, need to float at the surface and wait for a boat, and certainly no reason to keep off the bottom for sake of protection (such as on a coral reef). Mud diving is about digging your heels in and getting the job done. So, despite the shop full of rebreathers, habitats, mixed-gas equipment, and pile of extraneous $#!^ that seems to go on and on, my favorite mode of diving is a simple weight harness and my backpack. That extreme level of streamlining is something that I’ve valued for my entire diving career, and stays with me through even the most demanding technical or working dives. A BC or no BC? I believe there is an appropriate time and place for all diving equipment, but the most important consideration is to configure for the task at hand, and be cautious not to overburden yourself. It adds to unnecessary stress which can in the end be more dangerous that keeping it simple. I became a cefritied diver when I was 40 years old. I would check with your doctor first. I had ear surgery when I was a teenager that was caused by a ruptured ear drum that did not heal properly. Part of my recovery was to be able to hold my nose and clear my ears. What this means is that you equalize the pressure between your inner and outer ear or on both sides of your ear drum. This is a firm requirement for scuba diving. After talking to your doctor you can work on clearing your ears without being in the water. It feels the same as when you drive up or down from the mountains and your ears get plugged up and then finally pop on their own. But you should be able to do this on demand. If you can learn to do this then you can do a test (under qualified supervison) in your pool. Swim down to the deep end of a deep pool and you will feel pressure on your ears. When you clear them the pressure feeling will go away. When diving down to 20 and even 60 feet or more you usually only have to do this twice on the way down and then you are good until your next dive. Also diving can be easy off a boat where there is no current or harder off a beach or off a boat where there is current.Yes there are currents out in the ocean just like in a river.I suggest going off a beach in Mexico or Hawaii with a dive master to help you if you get that far. Good Luck.References : Experience Was this answer helpful?